Mercedes’ Lewis Hamilton edged out Ferrari’s Sebastian Vettel to take pole position for the Spanish Grand Prix. Hamilton’s superb effort was exactly what he needed after a difficult weekend last time out in Russia, where he finished fourth. He set the pace in final qualifying with a one minute 19.149 seconds lap, and was just 0.025secs slower on his second run. Hamilton failed to improve on his final run, but his first lap was good enough to beat Vettel by 0.051 seconds. 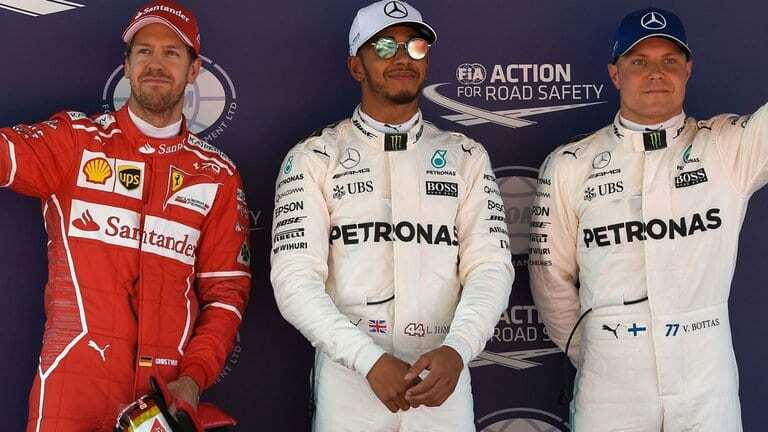 A mistake by the German in the final corner could have been crucial as Mercedes’ Valtteri Bottas took third ahead of Ferrari’s Kimi Raikkonen. Home hero Fernando Alonso produced an exceptional effort to take seventh place for McLaren-Honda. Alonso beat both Force Indias and Felipe Massa’s Williams, cars with a Mercedes engine that has at least 100bhp more than McLaren’s Honda.